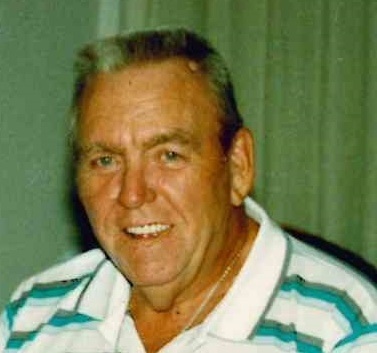 Charles K. Crouss, age 90, passed away April 14, 2019 in Leavenworth, KS. Charles was a graduate of Washington High School. He was an active member of the Masonic Lodge in the 60’s & 70’s. Charles enjoyed many hobbies, such as hunting, fishing, gardening and especially golf. He is survived by his daughter, Martha Suter (husband Shane), daughter in-law, Debra Crouss, grandchildren, Charles K. Crouss II, Amy Crouss, Justin Suter, Lora Black, Ronda Ray, Angie Scheeley, Rachel Spudic and 10 great grandchildren. The family will receive friends 5:00-7:00 PM, Wednesday, April 17, 2019 at the Mary Butler Meyers Funeral Home, 6300 Parallel Pkwy, Kansas City, KS. Interment services will be 1:00 P.M., Thursday, April 18, 2019 at Chapel Hill Cemetery, Kansas City, KS.